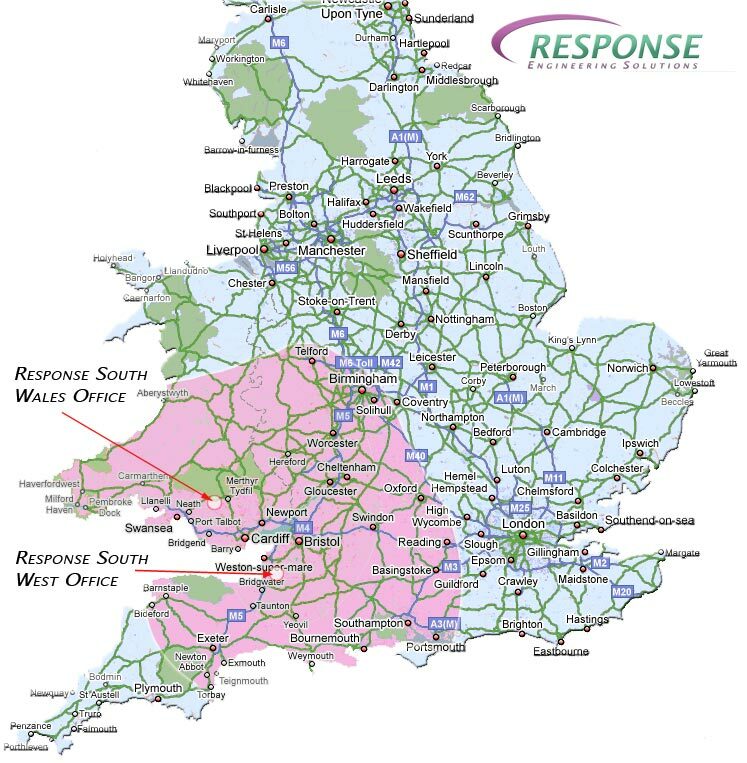 Response Engineering Solutions Limited operates from our office and workshop locations in Hirwaun, South Wales, Cheddar, Somerset and Crawley West Sussex. We offer full service capabilities to all of South Wales, South East and South West of England. We also consider and tender for fabrication and installation projects at any location across the UK. For further information please call us on 01685 812666 or click here to use the Contact form.